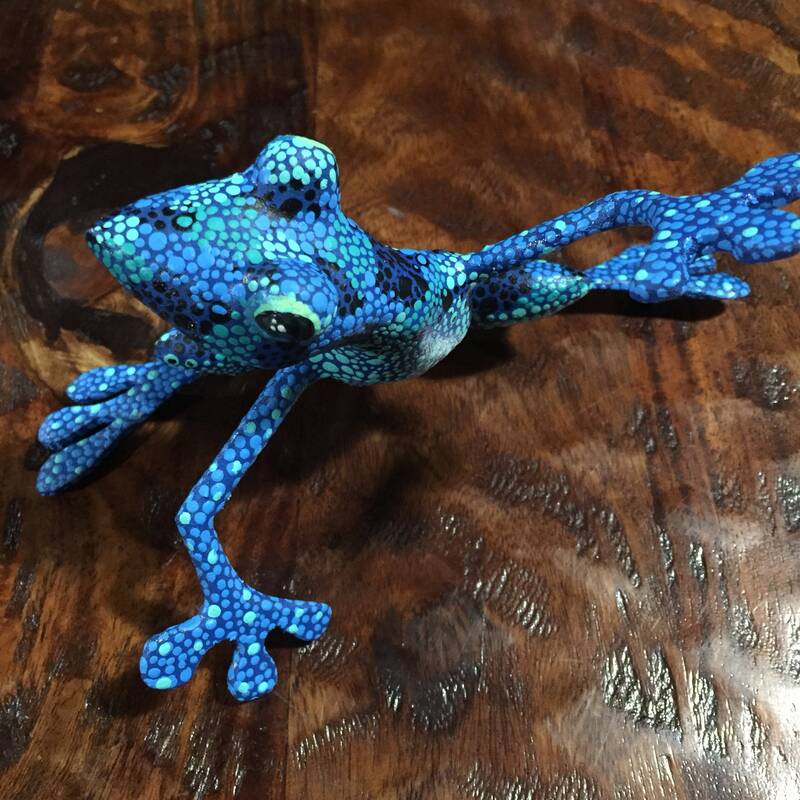 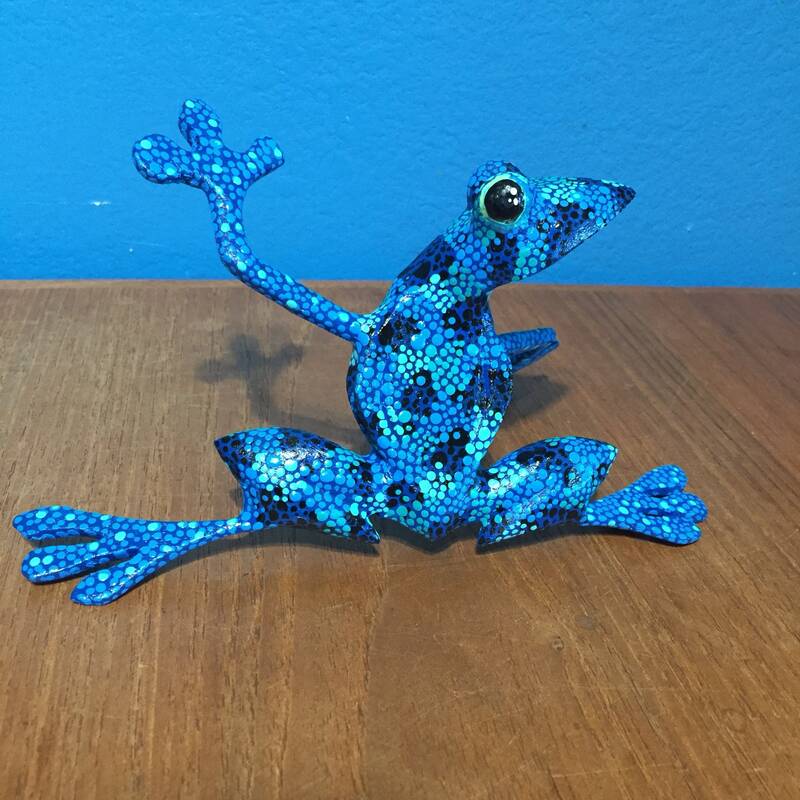 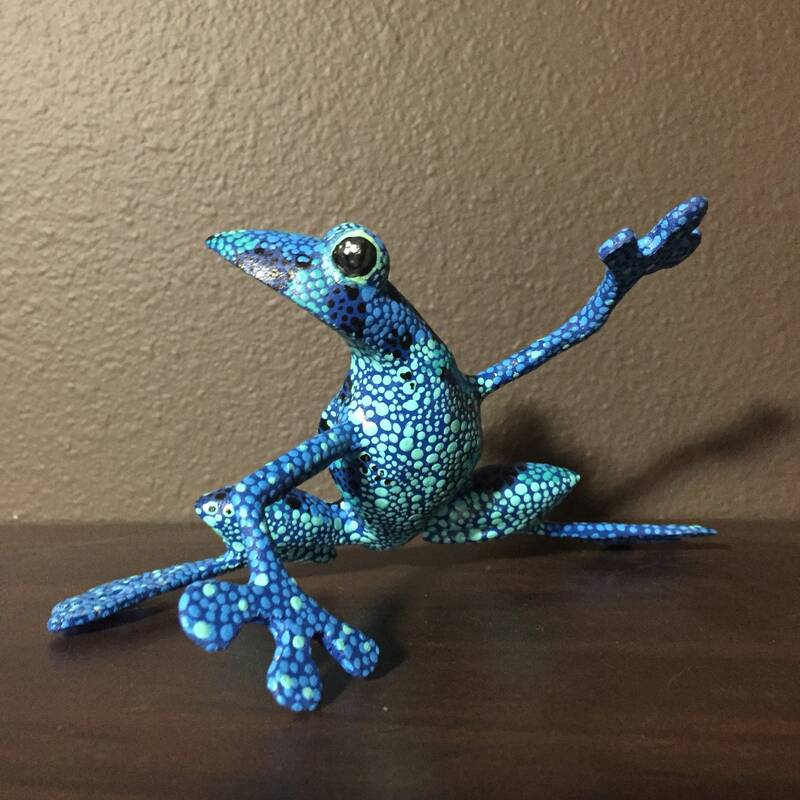 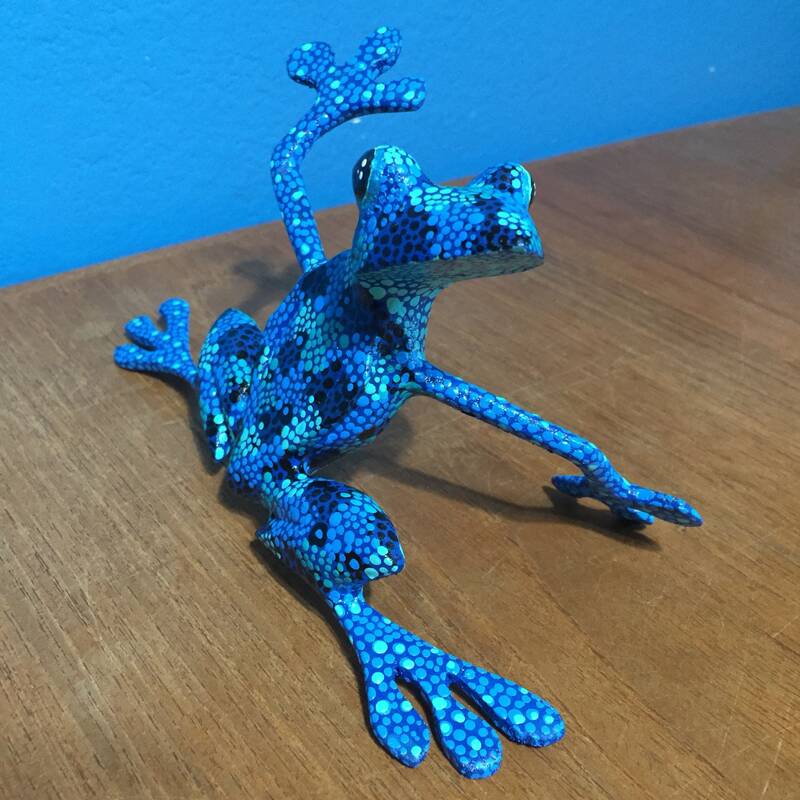 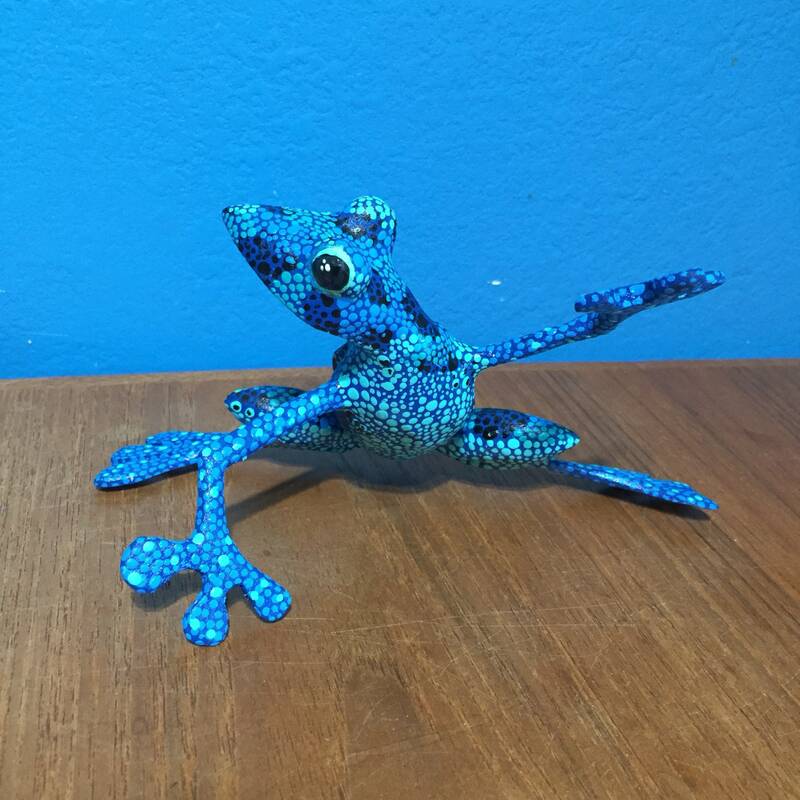 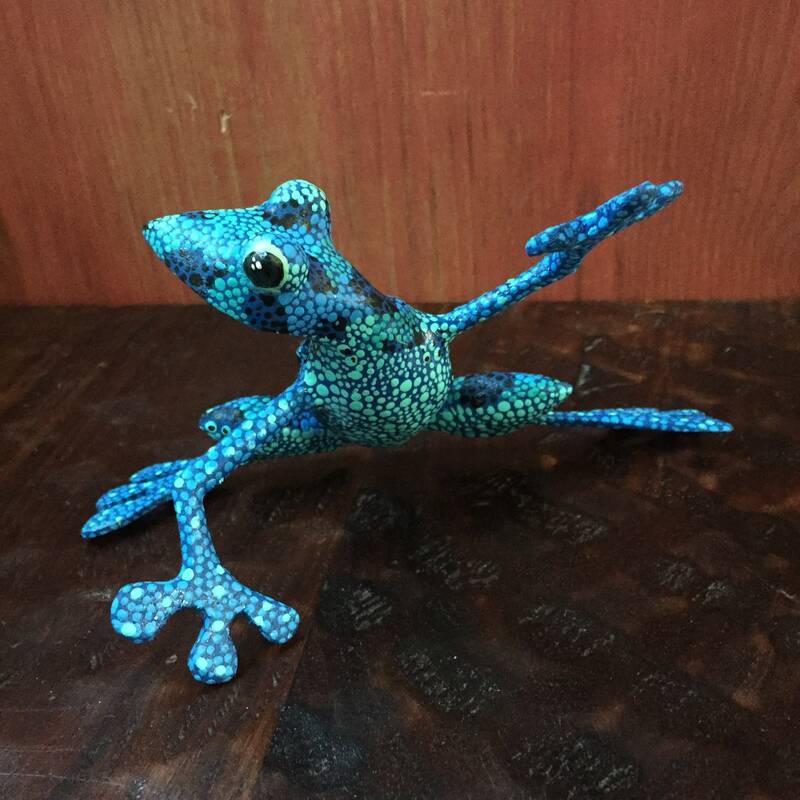 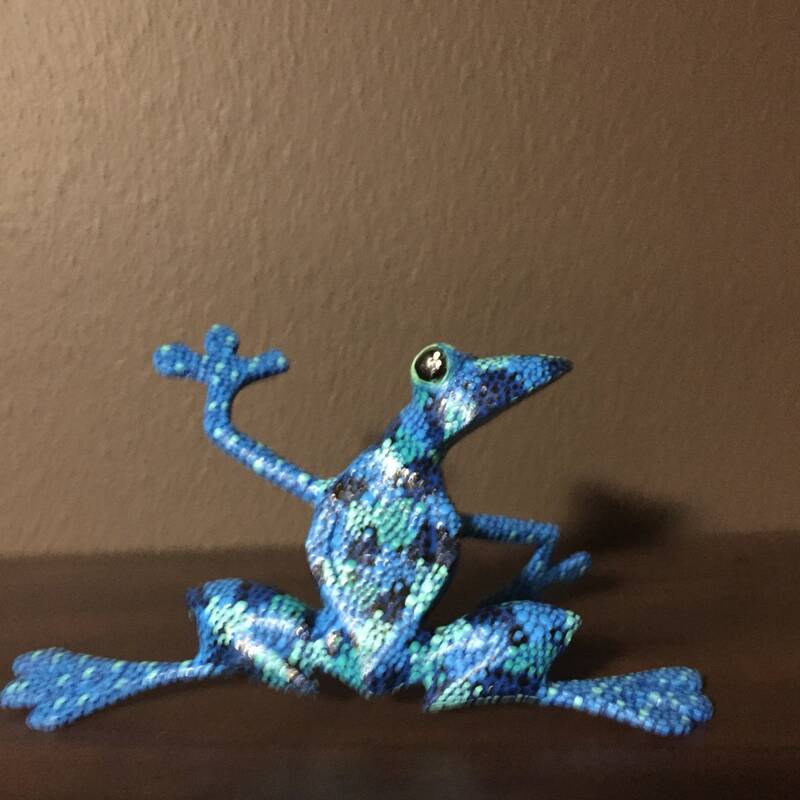 This colorful blue spotted frog is approx. 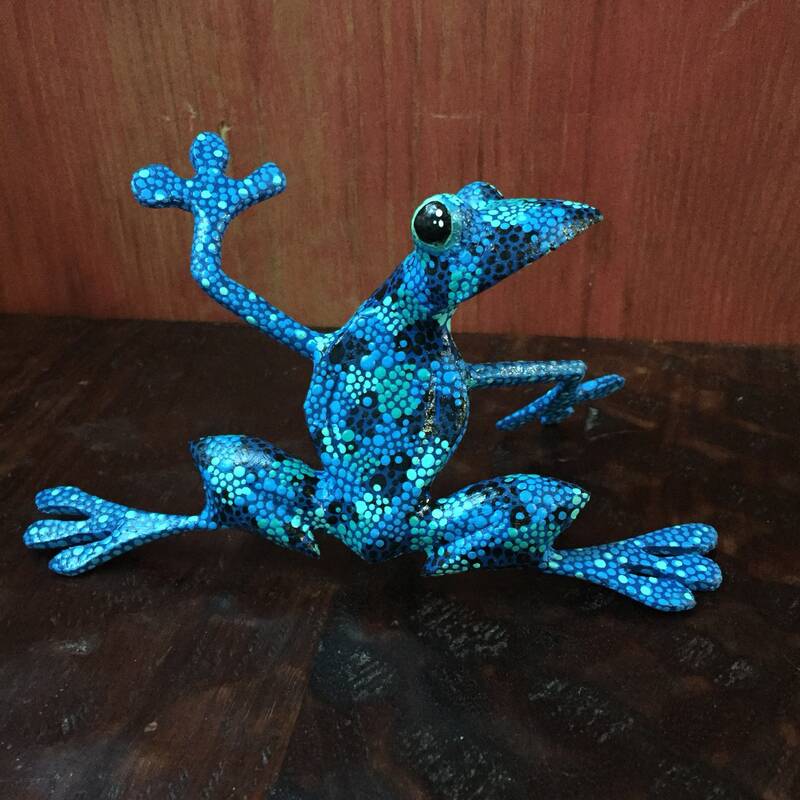 6”x3”x4” by artists, Roberto and Esperanza Martinez from Oaxaca, Mexico. 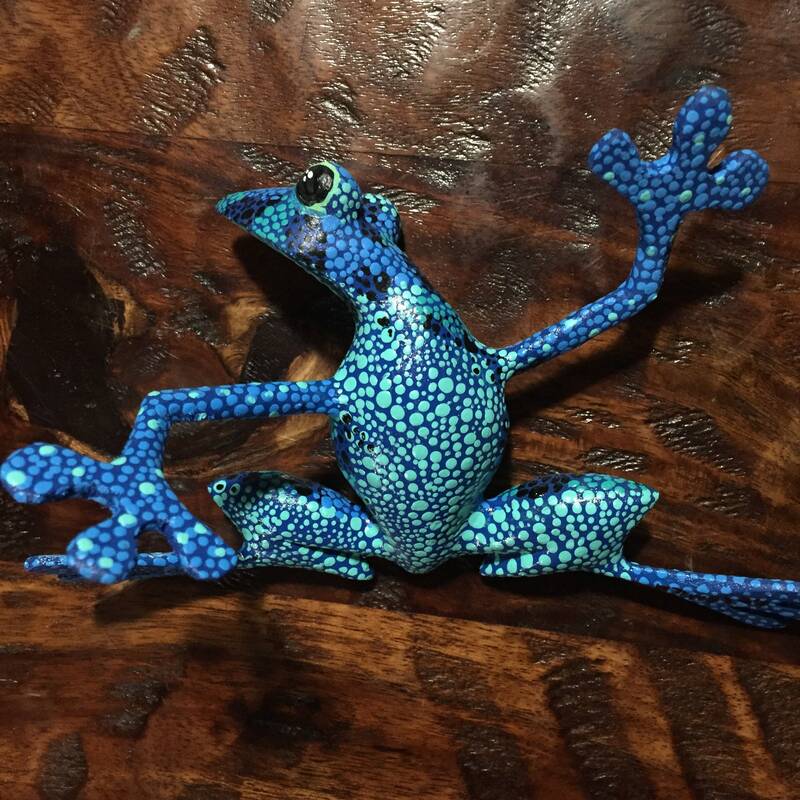 This whimsical frog is intricately painted by hand.